Hundreds of people have fled to a military airstrip in Kenya’s Mandera region amid fears that militants could launch a new assault. 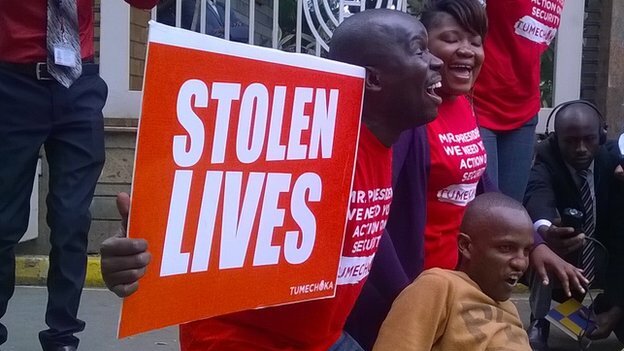 Kenya’s President Uhuru Kenyatta is under growing pressure to end attacks by the group. The BBC’s Wanyama Chebusiri in the capital, Nairobi, says the opposition and some ruling party MPs are calling for an overhaul of Kenya’s security agencies, including the dismissal of Interior Minister Joseph Ole Lenku and police chief David Kimaiyo. Six unions – including those representing doctors, teachers and civil servants – have advised members to leave until security forces can ensure their safety. The call could affect more than 10,000 teachers and 16,500 civil servants in major towns such as Mandera, Wajir and Garissa, Kenya’s Daily Nation newspaper reports. “Their lives are clearly in danger,” Kenya Union of Teachers leader Wilson Sossion is quoted as saying. “We have already lost enough members of the teaching force and can’t risk any further,” he added. 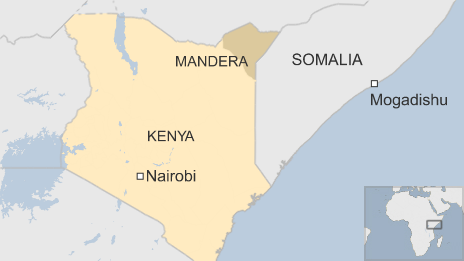 Many of the teachers, doctors and government officials who work in Mandera are from other parts of Kenya and no longer want to stay in the north-east, which borders Somalia and has been badly affected by al-Shabab’s insurgency, our correspondent adds. However, al-Shabab has denied this, and says that its fighters were safe. 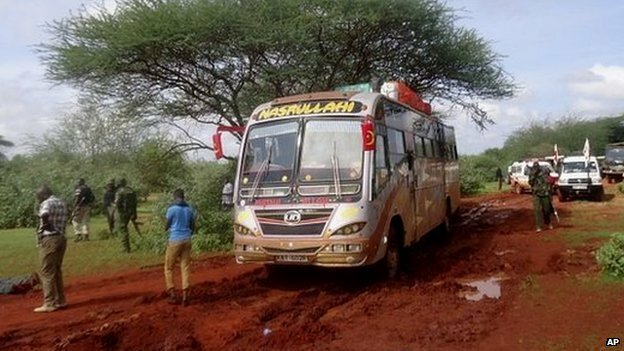 In Saturday’s attack, gunmen pulled non-Muslim passengers from a bus in northern Kenya, killing 28 of them. Al-Shabab said it carried out the assault in retaliation for a government crackdown on mosques in the Kenyan coastal city of Mombasa that were allegedly used by extremists. Posted on 25th November 2014 by newsafrica. This entry was posted in Africa, Kenya, Mombasa Terror Threat. Bookmark the permalink.